$36.8 billion – The amount of money Canadian shoppers spent in December 2005, up 6.6% from December 2004. $845 – The average amount each Canadian consumer spent in December 2005. This was almost $250 more than was spent on average during any other month. Albertans were the biggest spenders, spending $1,061 during the month, followed by shoppers in Yukon and the Northwest Territories. Three times – The number of times by which toy, hobby and games store sales grew in December 2005 compared with an average month. Other stores enjoying triple sales growth during December 2005 were jewellery, luggage and leather goods stores and music stores. One-fifth – The proportion of annual revenue generated by toy and hobby stores during December 2005. Retailers who specialize in sales of sound and video recordings (DVDs and CDs) also took in one-fifth of their annual revenue during the month. Source: Updated data for 2005 provided by Distributive Trades Division, from “Study: Christmas shopping, a provincial perspective”, The Daily, Wednesday, December 7, 2005. 82% — The proportion of some 80 large retailers that offered gift cards during the 2005 Christmas season, up from 68% in 2004 and 53% in 2003. These large retailers include Canada’s largest food, clothing, home furnishings, electronics, sporting goods, and general merchandise retailers (department stores are included). A gift card is a plastic card, similar to a credit card, with a magnetic strip on the back, which is loaded with the desired cash value when it is purchased. Source: “Gift Cards: The Gift of Choice”, in Analysis in Brief, December 4, 2006. $3.1 billion – The value of food (excluding pet food, meals and lunches) purchased at large retailers in Canada in December 2005, up 22% from average monthly sales of $2.5 billion for this category in 2005. $347.6 million – The value of candy, confectionery and snack foods purchased at large retailers in Canada in December 2005, up 68% from the average monthly sales of $206.4 million in 2005. $200.4 million – The value of cosmetics and fragrances purchased at large retailers in Canada in December 2005, up 124% from the average monthly sales of $89.4 million in 2005. $1.2 billion – The value of home electronics, computers and cameras purchased at large retailers in Canada in December 2005, up 132% from the average monthly sales of $509.3 million in 2005. $402.9 million – The value of toys, games and hobby supplies, including electronic games, purchased at large retailers in Canada in December 2005, up 220% from the average monthly sales of $126.1 million in 2005. $244.3 million – The value of pre-recorded CDs, DVDs and video and audio tapes purchased at large retailers in Canada in December 2005, up 152% from the average monthly sales of $97.1 million in 2005. $17.6 million – The value of giftware, novelties and souvenirs purchased at large retailers in Canada in December 2005, up 280% from the average monthly sales of $4.6 million in 2005. $150.9 million – The value of stationery, office supplies, cards, gift wrap and party supplies purchased at large retailers in Canada in December 2005, up 107% from the average monthly sales of $72.8 million in 2005. Source: CANSIM, table 080-0009 (Survey of large retailers). $841.8 million – The value of sales at convenience and specialty food stores in Canada during December 2005. Sales at these stores during December were not the highest of the year, however. During the summer months, sales grew, peaking in July at $864.1 million in 2005. $6.1 billion – The value of sales at supermarkets in Canada in December 2005. This was up 21% from the previous month and up 16% over the monthly average of $5.2 billion in 2005. $1.9 billion – The value of sales at beer, wine and liquor stores in Canada in December 2005. This was an increase of 62% from the previous month, and up 54% over the annual monthly average of $1.2 billion in 2005. $1.5 billion – The value of sales at sporting goods, hobby, music and book stores in December 2005. This was up 71% from the previous month and up 84% from the monthly average of $788.6 million in 2005. Source: CANSIM, table 080-0014 (Retail trade survey). 1,802 – The total number of employees in doll, toy and game manufacturing in Canada in 2004, a decline of 19% from 2003. $368.2 million – The total revenue of the doll, toy and game manufacturing industry in Canada in 2004, down nearly $25 million from 2003. Source: CANSIM, table 301-0006 (Annual Survey of Manufactures and Logging). $13.9 million – The value of imports to Canada of electric trains in 2005. Close to half came from China, followed by the USA, and Germany rounding out the top three. $104.1 million – The value of imports to Canada of dolls in 2005. Close to 85% came from China, with notable imports also coming from Indonesia and the USA. $34.5 million – The value of imports to Canada of wheeled toys ridden by children in 2005. Roughly half came from China, with the USA and Mexico being the other major sources of these toys. $931.3 million – The value of imports to Canada of scale models and puzzles and similar articles in 2005. A little more than 80% came from China, with significant imports from the USA, and also from Taiwan, Mexico, Hong Kong, Germany, Thailand, Japan, Switzerland and Malaysia, in that order. $1.4 billion – The value of imports to Canada of articles for arcade, table or parlour games and parts in 2005. Of these, more than 42% originated in China, with a similar proportion coming from the USA. Japan was also a major source. The United Kingdom, Taiwan, Hong Kong, South Korea, Austria, Indonesia and Mexico rounded out the top ten sources for these imports. In addition to conventional stores and shopping malls, many Canadians turn to the Internet for their shopping. 50 million – The approximate number of orders placed on-line in Canada in 2005. $7.9 billion – The value of goods and services ordered over the Internet for personal or household consumption in Canada in 2005. 7 million – The approximate number of people in Canada aged 18 and over who placed an order on-line in 2005. Slightly more than 9 million logged on to browse, or to do some “window shopping”. The people who made an on-line purchase represented about 41% of all adults who used the Internet in 2005. Travel services such as hotel reservations and car rentals were the most common type of order, followed closely by books, magazines and digital products. Source: “E-commerce: Shopping on the Internet”, The Daily, Wednesday, November 1, 2006. $73.9 million – The value of farm cash receipts for Christmas trees in Canada in 2005. By province, Quebec produced the most, followed by Nova Scotia, New Brunswick and Ontario. Source: CANSIM, table 002-0001 (Farm cash receipts). $86.1 million – The value of sales of lawn and garden related products-which include items such as real Christmas trees-at large retailers in Canada in December 2005. For comparison, this was up 24% over the previous month, but amounted to nearly half the monthly average of sales in 2005. 2,387,649 – The number of Christmas trees exported from Canada in 2005. The United States is the biggest market for Canadian Christmas trees, having received more than 2.2 million trees in 2005, followed by Panama with 91,000 and Venezuela with 27,500. Christmas trees are also exported to other South American countries, about a dozen island nations in the Caribbean-Netherlands Antilles and Bahamas being the biggest markets-and Ireland. 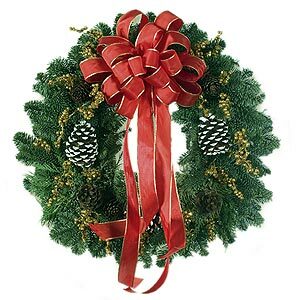 Fifteen Christmas trees were exported to Thailand. $34.8 million – The value of all Christmas trees exported from Canada in 2005. $36.6 million – The value of artificial Christmas trees imported from China in 2005. Some $10,500 worth of artificial trees was also imported from Poland. Artificial Christmas tree imports totalled $38.7 million in 2005. $196.2 million – The value of Christmas decorations imported to Canada in 2005. The bulk ($175.3 million) came from China, with Russia and some Eastern European nations supplying much of the remainder. $38.1 million – The value of ice skates imported to Canada in 2005. 1.2 million – The number of pairs of ice skates imported to Canada in 2005. $29.4 million – The value of ice skates imported to Canada from China in 2005. Ice skates were also imported from Thailand ($8 million), USA and Europe. $65.8 million – The value of skis imported to Canada in 2005. Nearly a third came from Austria, followed closely by France, with the remainder from China, Spain and other European nations and the USA. $24.7 million – The value of ski bindings and parts imported to Canada in 2005. More than a third came from China, followed by France, Austria and other European nations. $809.1 million – The operating revenue of skiing facilities in Canada in 2004. Source: CANSIM, table 361-0002 (Survey of arts, entertainment and recreation). Canadians are extremely generous with the money and time they give to charitable and other non-profit organizations. $7.9 billion – The record high amount of donations to charities claimed by Canadian taxfilers in 2005. More than 5.8 million – The number of taxfilers claiming donations in 2005. The total donations were 13.8% higher than in 2004. The amount increased in all provinces and territories. Source: “Charitable donors”, The Daily, Thursday, November 23, 2006. 22 million – The approximate number of Canadians (85% of the population aged 15 and over) who made a financial donation to a charitable or other non-profit organization in the year leading up to the Canada Survey of Giving, Volunteering and Participating in 2004. 12 million – The approximate number of Canadians (45% of the population aged 15 and over) who did some volunteering through a group or organization. Source: “Canada Survey of Giving, Volunteering and Participating”, The Daily, Monday, June 5, 2006. According to the 2001 Census, the majority-seven out of every 10 Canadians-identified themselves as either Roman Catholic or Protestant. Roman Catholics numbered just under 12.8 million people, or 43% of the population, down from 45% in 1991. The proportion of Protestants declined from 35% of the population to 29%, or about 8.7 million people. Combined, the two groups represented 72% of the total population in 2001, compared with 80% a decade earlier. The 2001 Census also recorded an increase in those reporting simply that they were “Christian”, without specifying a Catholic, Protestant or Christian Orthodox faith. In addition, far more Canadians reported in the 2001 Census that they had no religion. This group accounted for 16% of the population in 2001, compared with 12% a decade earlier. The number of individuals who identified themselves as Jewish increased 3.7% during the 1990s to nearly 330,000. They accounted for 1.1% of the population in 2001, virtually unchanged during the decade. Those who identified themselves as Muslim numbered 579,600 in 2001. These individuals represented 2% of the total population in 2001, up from under 1% a decade earlier. The number of people who self-identified as Hindu numbered 297,200. Those who identified themselves as Sikh numbered 278,400, while the number of Buddhists stood at about 300,300. Each represented around 1% of the total population in 2001. Source: 2001 Census, Analysis series, Religions in Canada. •Hanukkah, which begins December 16, 2006, is celebrated by people of the Jewish faith. •Kwanzaa (December 26) is marked by many people of African origin. •Buddhists celebrate Bodhi Day in early December. •Guru Gobind Singh’s Birthday will be celebrated by those of the Sikh faith in early January. •Eid-ul-Adha, the most important feast of Islam, is also in January. •Diwali (celebrated by those of the Hindu faith) and Ramadan (celebrated by followers of the Muslim faith) occurred in the autumn of 2006. As the clock strikes midnight on the last night of December, many people across Canada will be ringing in the New Year with a glass of sparkling wine. $188.3 million – The value of sales of sparkling wines in Canada in 2005. A little over a quarter of this amount was made up of Canadian products. 11.6 million litres – The volume of sparkling wines sold in Canada in 2005, almost evenly split among Canadian and imported products. This represents nearly 15.5 million 750 ml bottles.